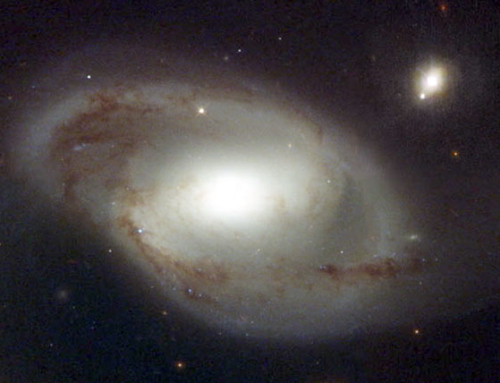 The idea of deep geological time emerged in the late eighteenth century. 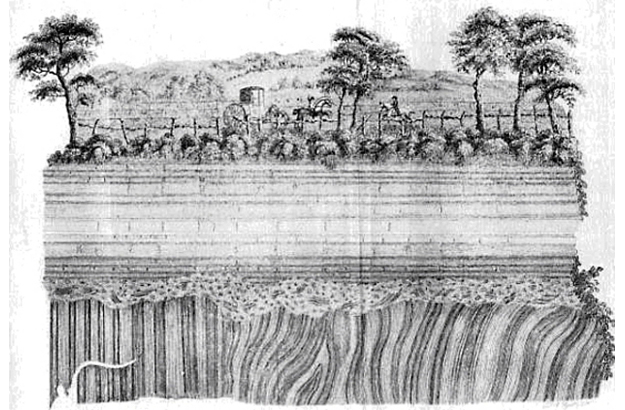 James Hutton, a Scottish doctor and farmer, developed a theory of soil renewal which involved a continuous cycle of erosion, rock formation and mountain building in order that the land would be replenished and maintained fit for purpose. 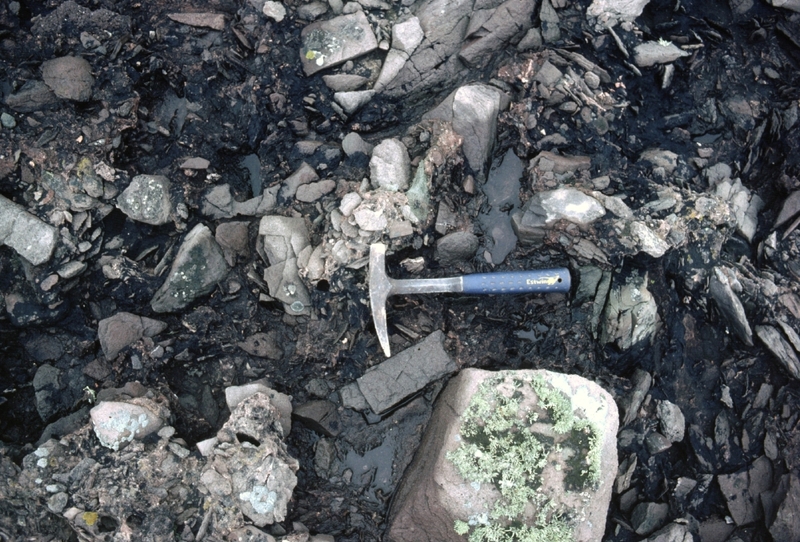 In support of this he recorded a number of sites in Scotland where there was a buried erosion surface separating two rock strata of different ages. 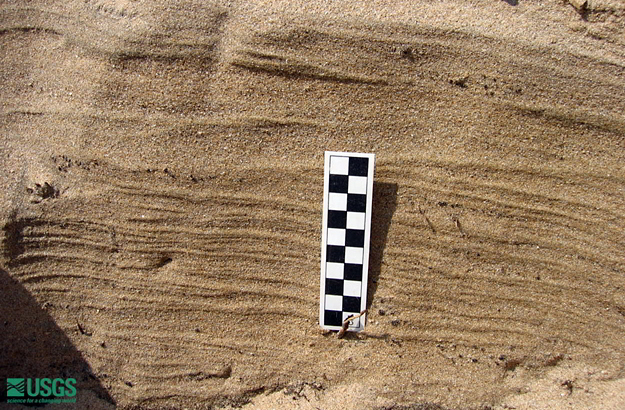 These are known as unconformities. It was from this that Charles Lyell subsequently developed the principle of uniformitarianism, (sometimes known as actualism or gradualism) as a basis for interpreting the geological record. 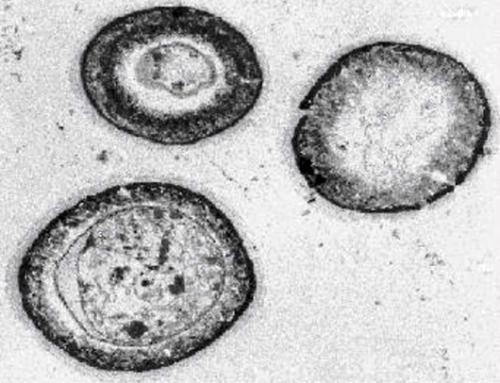 This assumed that the conditions and processes of today had been consistent throughout time and therefore long periods of time were necessary to explain the formation of the rocks. 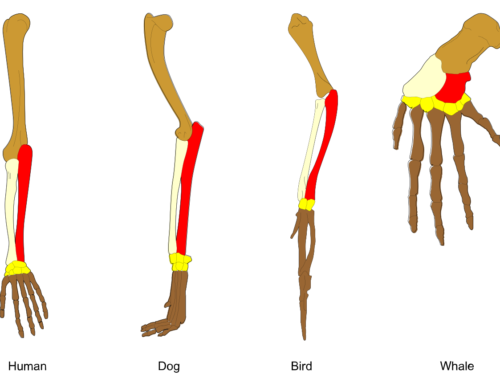 This extensive timescale for earth history provided the backcloth for Darwin’s theory of evolution. 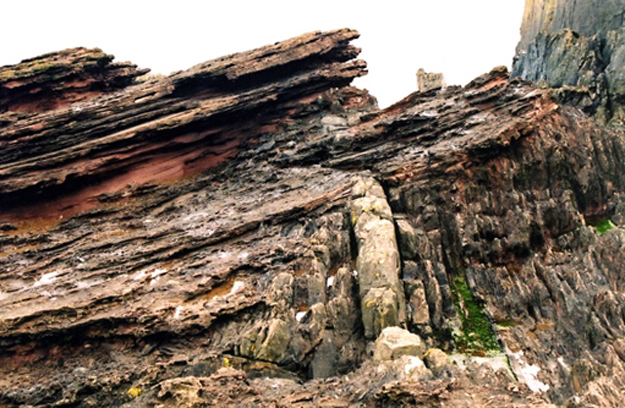 Another of the sites which influenced Hutton was Siccar Point, Cockburnspath in Scotland on which he commented “What clearer evidence could we have had of the different formation of these rocks, and of the long interval which separated their formation” 1 It is considered the type site of the uniformitarian school of thought and a cast of the site was made for display in the American Museum of Natural History in 1998. 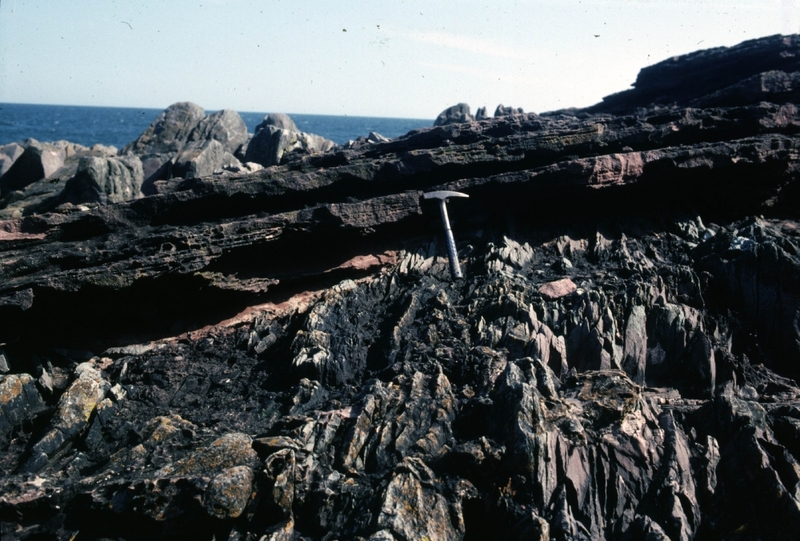 Examination of the rocks at Siccar Point reveal that the vertically bedded rocks have eroded extensively in recent times where exposed to the weather. It is reasonable to suppose that they would also show signs of considerable weathering in antiquity if there had been “a long interval” separating the formation of these rocks. The absence of such evidence further supports the view that they were deposited over a short period of time. 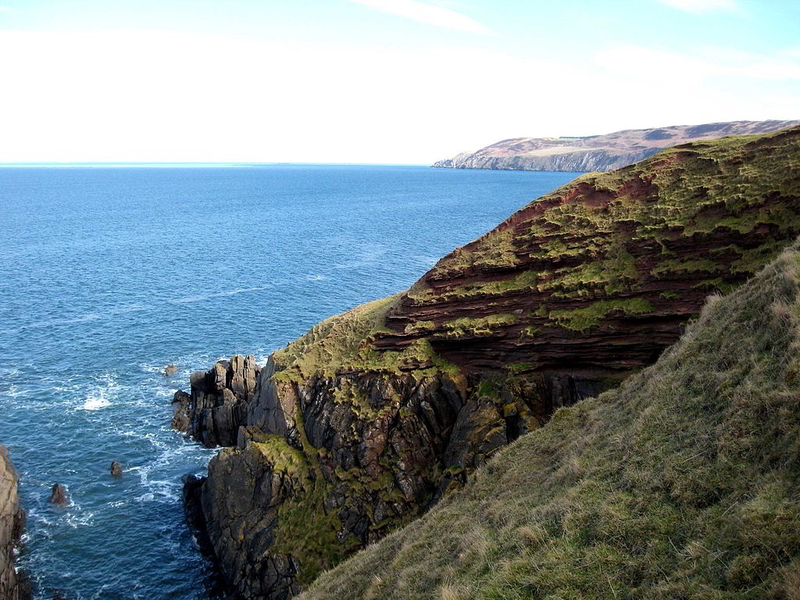 Siccar Point the planar surface of the unconformity. 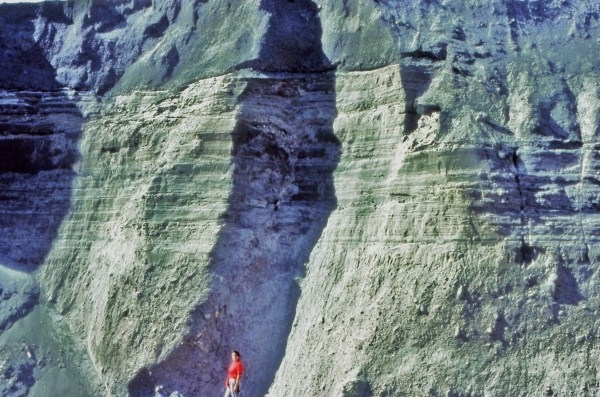 A reworking of the evidence therefore questions Hutton’s belief that “a long interval” had elapsed between the formation of these rocks. The impact of recent natural disasters gives a slight insight into the effects that a major catastrophe would have had on the world around us. 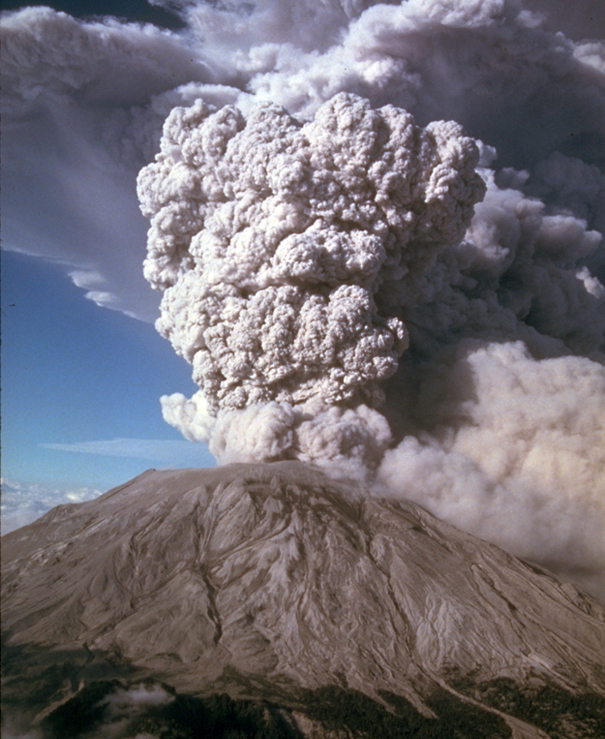 The eruption of the volcanoes at St Helens, USA in 1980 and at Eyjafjallajökull, Iceland in 2010 give an indication of the impact a single volcanic eruption can have. 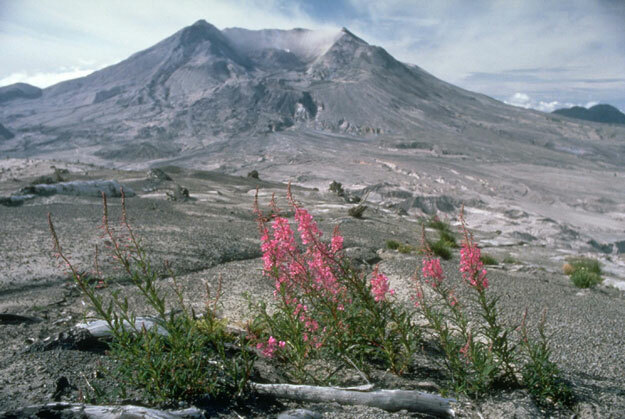 The St Helens eruption flattened vegetation and buildings over some 230 square miles (600 km²) and about 540 million tons of ash fell over an area of more than 22,000 square miles (60,000 km²).The flow of debris from the crater formed a 25 foot (7.6 m) layered deposit. 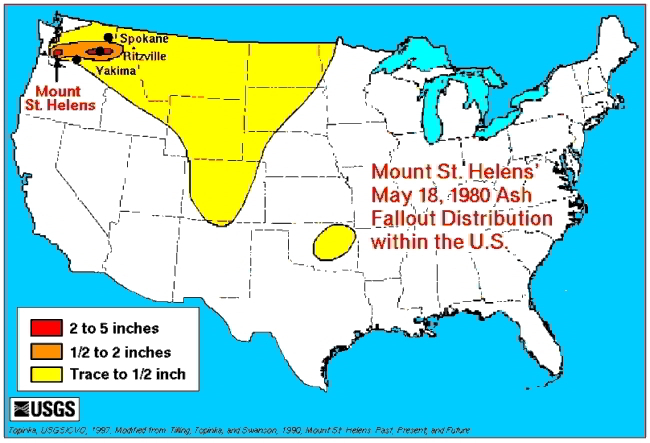 Ash fallout from St Helens eruption, 1980. 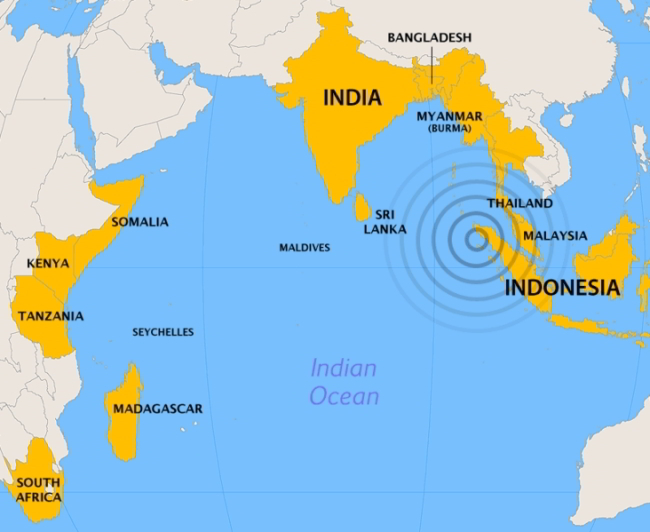 Countries affected by 2004 tsunami. Similarly, the 2011 earthquake off the coast of Japan and that in the Indian Ocean in 2004 resulted in tsunami waves up to 33 feet (10 meters) high. The 2004 disaster resulted in some 200,000 deaths in countries bordering the Indian Ocean. 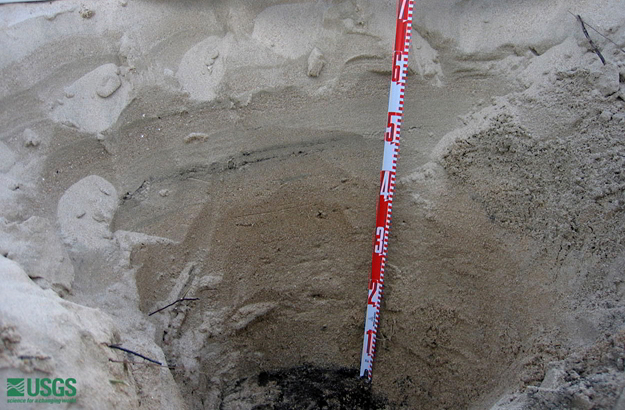 The tsunami deposited sediment in many parts of the region, a single wave in Sumatra depositing 45 cm (18 inches) of sand which in section can be seen to be graded upward from coarse to fine. The move towards catastrophic interpretations of the geological record raises fundamental questions about the timescale required for these events to have taken place. 1 Playfair, J (1805) ‘Biographical account of the late Dr James Hutton’, Trans. 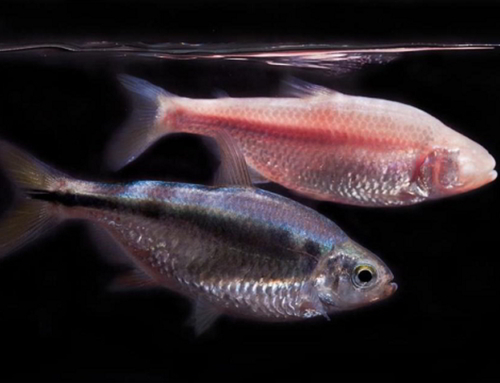 Roy. Soc Edinburgh, 5, 39-99. 2 Macgregor, M and Macgregor, A G (1948), The Midland Valley of Scotland, p 31, 2nd edition. HMSO, Edinburgh.